For a time back in Alaska, I lived with my then-girlfriend. She had joined me in Anchorage and we jumped into the whole domesticated-life thing…which, to her surprise, included a lot of time at the hockey rink. At the time, I was playing on a beer-league team two nights a week and in an invite-only pickup game another weeknight. I was also coaching a women’s team in their Sunday-night beer league and a bantam (13- to 14-year-olds) team upwards of five times a week. A bit nonplussed by the time commitments involved, my girlfriend coined the term “AHATT” which stands for “all hockey, all the time.” And as I look back on my life, it’s a pretty accurate description of where I’ve spent a good portion of my life. Which is not to say I’m a good hockey player. I’m not. But I’m a very avid hockey player and have been since I began playing when I was 5 years old. In the intervening time there’s been one winter — 1999-2000, when I lived in Austin, Texas — that I did not play at least a large amount of hockey. And as a result of that time spent in the rink hockey has become the most Zen thing I do in my life. When I tell people that, they’re always a bit taken aback. How can a violent, collision sport like hockey be remotely Zen? The answer is that the moment my skates hit the ice my conscious brain shuts off and I’m completely in the moment. There’s no thought, only flowing action and reaction as the subconcious mind takes over. It’s the most free feeling I have in my life, surpassing even surfing and powder skiing; those pursuits have had their moments but they’re just that — moments — and are nowhere near as regular and reliable as the act of playing hockey. 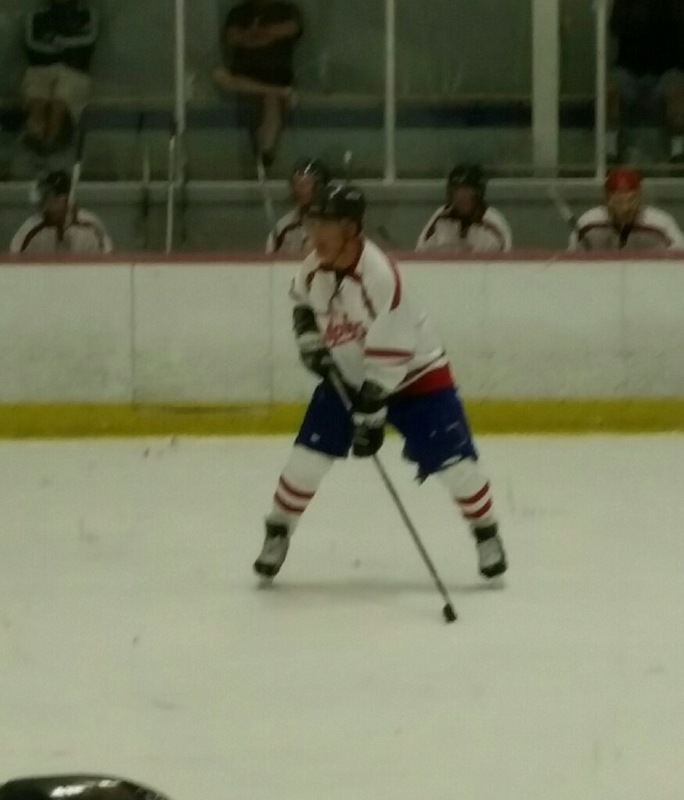 So it was a joyful weekend recently when I found myself in Tampa, Florida, participating in the U.S. Hockey national championships for over-50 hockey players. (Sidenote: “national championships” is a bit of an overstatement. Any team that pays its fee is in; there are no qualifications other than a check that clears. But U.S. Hockey is the national governing body for the sport so they get to use the term “national championships” to gin up the event a bit. Whatever.) I played for a tier-two team from Houston. A guy I’d skated with in Alaska had moved to Houston and contacted me to see if I wanted to play with his team. I said yes and there I was, in Florida for a few days of puck. And what a treat! I hadn’t played several games in a short span in many years and, while tiring, it was such a fun experience to again be playing with a purpose (as opposed to goofing off in the pickup hockey I play in San Diego). Our team went 2-1 in the 12-team tournament and missed the tiebreaker for the semifinals by a single goal. I managed to play okay though not well enough for my liking, but still managed to contribute quite a bit to the team’s effort. One thing that was particularly challenging was finding that killer instinct that I’ve been suppressing in recent years. In our San Diego pickup games I look to pass 99 percent of the time, even with a point-blank shot on goal. In Tampa, it took semi-conscious thought to realize that scoring goals was, you know, important. 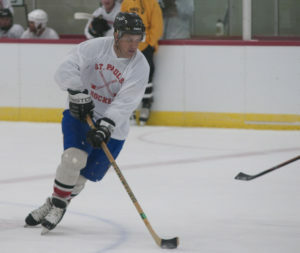 On one play, I tipped the puck past an opposing defender. I picked up the puck off the boards and turned toward the goal from a very sharp angle. In San Diego I’d have stopped or swung behind the net or spun back to the corner, all looking for one of the less-experienced players to join the play and let me find them with a pass so they might score. But in Tampa I had to consciously bear down on the net and pick out an opening for a shot. I scored, which was nice, and from there the switch in my mind had been flipped. That sense of purpose on the ice, of having a goal (no pun intended) other than just the bliss that comes from chasing a little rubber disc around a frozen body of water, was back in full force. I’ve always maintained that heaven, to me, is a big, frozen pond somewhere in the snow-covered mountains. It’s a blazing bluebird day — so bright you need sunglasses. There are a dozen or so youngsters and half a dozen adults all playing shinny hockey, and everyone is smiling and laughing and joking, trying one-in-a-million moves and highlight-reel plays. The sun makes its way across the sky as we play, nonstop, for the rest of eternity. All hockey, all the time…indeed.